Vidya Balan is coming up with action drama movie ‘Begum Jaan’. While she was in Kolkata for film promotion she had gone through a bitter incident. A male fan of Vidya Balan put the actress in embarrassing situation at Kolkata airport. A so called male man asked for a selfie with Vidya Balan to which the actress said ok. What he did next was heck! He did put his arm around her waist and tried to touch her hand without her permission. Vidya Balan is one rare actress who gives the best bold performances and goes beyond her comfort zone. She gave some best movies like Kahaani, The Dirty Picture and Parineeta. Her acting and talent have huge fan followers and fan moments. But this fan moment is shameful and we are glad she did speak in media about the incident. On professional front, Vidya Balan is in lead role in ‘Begum Jaan’ movie with Ila Arun, Gauahar Khan and Naseeruddin Shah. National award winner Srijit Mukherjee is the director of movie and Mahesh Bhatt is the producer. The movie is set to release in theaters on April 14, 2017. 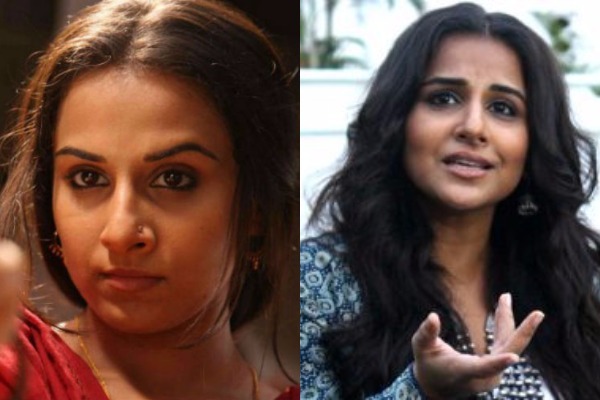 What is your take on the whole incident happened with Vidya Balan? Tell us in the comments box.